Building certifiers increasingly want to see a NATA TEST REPORT before handover of the development can be given. 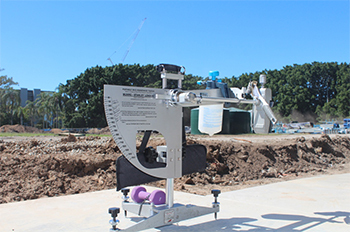 We at Sliptest Australia can do this for you – So before handover book your Sliptest in and let us certify the surface for you – don’t wait and let the Slip test certification hold up your Form 16 and the final payment for practical completion. What happens if my stairs or ramp comes under the recommended standards? 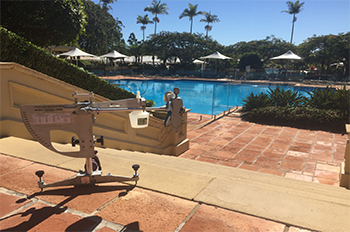 From 1 May 2016, the Queensland variation of the Building Code of Australia (BCA) Volume 2 for slip-resistance on stairs lapsed. Australian Standard 4586 – 2013 ‘Slip-resistance classification of new pedestrian surface materials’ will now apply to class 1 and 10 buildings in the 2016 edition of the BCA. Prior to this, the requirements have only applied to building classes 2–9 within Volume 1 of the BCA, as adopted in 2014. Since that time, the differences in slip resistance between Volume 1 and 2 have been aligned in the draft 2016 BCA. Slip-resistance classifications are now proposed for all stair treads, ramps and landings for all building classes. For contractors in the residential sector, application of finishes to these areas must have documentary evidence to prove the classification. This applies to all finishes and surface types, including carpet, tiles, timber, and vinyl, concrete and metal. What do contractors have to do? Provide copy of documents to the Building Certifier. The BCA uses two types of classifications. 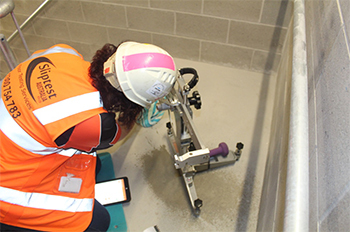 The wet pendulum test gives a slip-resistant value as a P classification, ranging from P0 to P5. 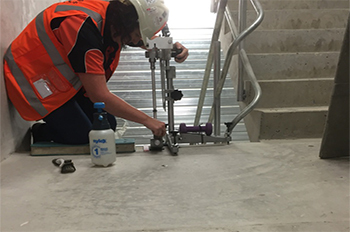 The oil wet inclining test gives a slip-resistant value as an R classification ranging from R9 to R13. Higher classifications indicate a good slip-resistance value.